We were interested in testing paper as a material by transforming the way it behaves and generating three dimensional forms out of the two dimensional, conventional material. For the site, we chose the drawing studio courtyard which had a concrete wall bisecting the space. By repeating these panels we created a wall which enclosed an existing space within the courtyard. 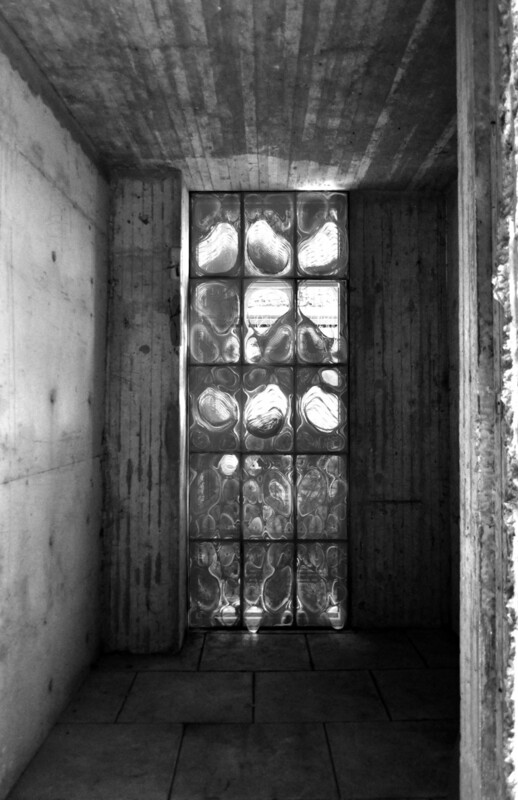 By varying the degree of the porosity in the panels, we able to manipulate the light conditions and transform what was once a neglected space into a sacred and private space.